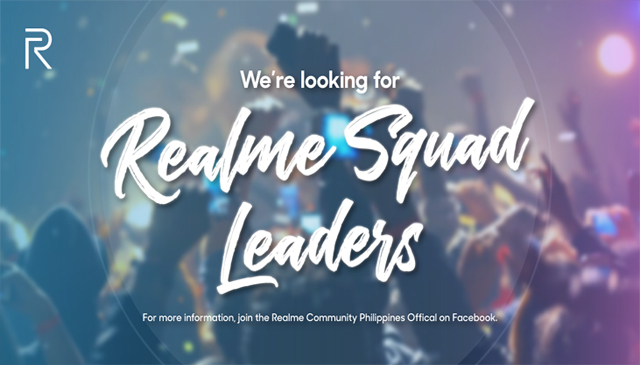 Home / android / News / realme / Are you ready to be the Realme Squad Leaders? Are you ready to be the Realme Squad Leaders? The Realme Philippines community also named as the Realme Squad is now on the look for avid tech enthusiasts with passion towards technology to become Realme Squad Leaders. More than just providing information to co-community members, squad leaders will have the benefit of experiencing first the latest Realme devices and even propose their own community activities to be the pioneer of the brand. For more information join the Realme Philippines community Group.